One of the biggest problems currently facing the US economy is consumer debt. The average household has over $130,000 in debt and spends nine per cent of its income on interest payments. Part of the reason for increasing debt levels is that over the last few years the cost of living has grown faster than incomes. Medical bills are a particular worry in the US, and many people don’t have enough savings to cover even a $500 emergency. All of that may sound pretty bleak, but thanks to some innovative start-up companies there are paths out of debt for many Americans. Medical costs are the number one cause of bankruptcies in the US, and since 2003 costs have increased by more than 50 per cent. Yet due to billing errors, many patients are actually being overcharged without realising it. A new start-up called Remedy aims to fix this by identifying billing errors and ensuring that people don’t end up paying more than they need to. 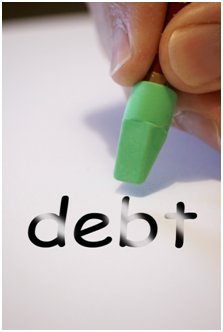 Credit card debt is a serious problem in the US, with the average household owing more than $15,000. But unlike the UK, where there’s the option of an IVA, the only option to reduce payments may be to seek a lower-rate loan elsewhere. If you’re asking what is an IVA, it’s an agreement with the lender to reduce the level of payments you make and perhaps ultimately write off the balance of the debt. In the US, bankruptcy may be the only alternative, but start-up companies are helping out with innovative peer-to-peer lending solutions that look at an individual’s history and future earnings potential to structure payments accordingly. There’s also a move towards shared underwriting platforms that will allow smaller banks to share data on creditworthiness, enabling them to offer lower credit card rates. Student debt is also a major problem in the US, totalling over $1.3 trillion in 2016. Again, innovative platforms are coming to the rescue with tools like Earnest that allow students to restructure their debt in accordance with their career earning potential. In future, tools that use artificial intelligence will become more common. These will help consumers stay on track with their debt repayments, issuing alerts and allowing them to avoid unnecessary debt servicing costs.